I joined the UCLA faculty in 2002 after completing my Ph.D. at the University of Pennsylvania and my BA and MA degrees at the University of Nottingham (UK). My main area of interest is Greek literature from the archaic and classical periods. My book on space and landscape in the early Greek epic and prose tradition, Space and Time in Ancient Greek Narrative (Cambridge University Press) was published in 2010. 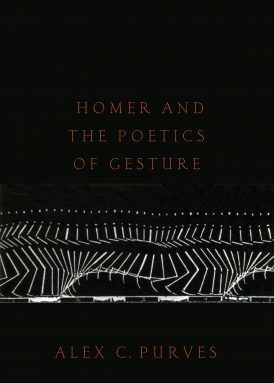 My next booklength study, Homer and the Poetics of Gesture (forthcoming Oxford University Press, 2019), approaches the Homeric poems through a series of focused readings of particular somatic positions and actions. 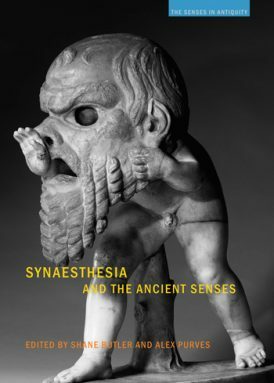 I am also interested in the ancient senses: I co-edited Synaesthesia and the Ancient Senses with Shane Butler (Acumen/Routledge, 2013), and recently edited Touch and the Ancient Senses for the same series (Routledge 2018). I serve on the editorial board of Classical Receptions Journal. I teach graduate and undergraduate courses in ancient Greek language, literature, and thought, as well as GE courses on Classical Mythology (CL 30) and The Fantastic Journey: Antiquity and Beyond (CL 60). In 2017, I was the recipient of UCLA’s Distinguished Teaching Award, with a special commendation for graduate teaching. Students interested in pursuing graduate work with me are encouraged to get in touch. 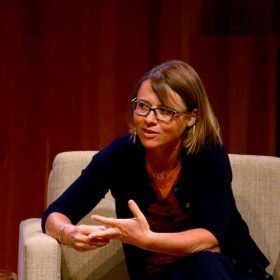 You can listen to this interview to learn more about my work, mentoring, and research. “Sappho’s Lyric Sensibility” in A. Kelly & P. Finglass, eds., The Cambridge Companion to Sappho, Cambridge University Press (forthcoming). “Rough Reading: Tangible Language in Dionysius’ Criticism of Homer” in T. Aldo, J. Grethlein & Luuk Huitink (eds. 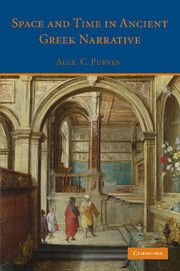 ), Experience, Narrative and Literary Criticism in Ancient Greece (forthcoming). “Surface Reading: Touch and Emotion in Fuseli and Homer,” in S. Butler, ed., Deep Classics: Rethinking Classical Reception, Bloomsbury (2016), 67-85. “Ajax and Other Objects: Homer’s Vibrant Materialism” in S. Lindheim & H. Morales, eds., New Essays in Homer: Language, Violence, and Agency (Ramus Special Issue) (2015), 75-94. “In the Bedroom: Interior Space in Herodotus’ Histories,” in K. Gilhuly & N. Worman, eds., Space, Place, and Landscape in Ancient Greek Literature and Culture. Cambridge University Press (2014), 94-129. “Who, Sappho?” in D. Cairns & R. Scodel, eds., Defining Greek Narrative. Edinburgh Leventis Studies Vol. 7. University of Edinburgh Press (2014), 175-96. “Sleeping Outside in Homer’s Odyssey and W. G. Sebald’s The Emigrants,“ in H. Gardner & S. Murnaghan, eds., Odyssean Identities in Modern Cultures: The Journey Home, University of Ohio Press, (2014), 213-239. 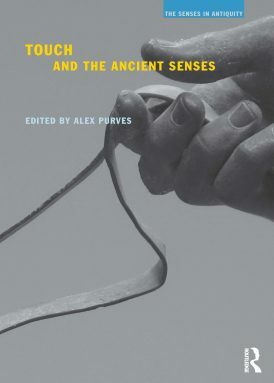 “Haptic Herodotus: History and the Senses,” in S. Butler & A. Purves, eds., Synaesthesia and the Ancient Senses (2013), 27-41. “Thick Description: Auerbach and the Boar’s Lair (Od. 19.388-475),” in M. Skempis & I. Ziogas, eds., Geography, Topography, Landscape: Configurations of Space in Greek and Roman Epic (2013), 37-62. “Homer and the Art of Overtaking,” AJP 132.4 (2011), 523-51. “Wind and Time in Homeric Epic,” TAPA 140.2 (2010), 323-350. “Falling into Time in Homer’s Iliad,” Classical Antiquity 25.1 (2006), 179-209. “The Plot Unravels: Darius’s Numbered Days in Scythia,” Helios 33.1 (2006), 1-26. “Unmarked Space: Odysseus and the Inland Journey” in Arethusa 39 (2006), 1-20. “Topographies of Time in Hesiod,” in R. Rosen, ed., Time and Temporality in the Ancient World, University of Pennsylvania Museum Press (2004), 147-68. “Philocleon as Actor and Spectator in Aristophanes’ Wasps,” DRAMA vol. 5. (1996), 5-22. UCLA Distinguished Teaching Award, with special commendation for graduate teaching. 2017. Spinoza Visiting Research Fellow. Leiden, Netherlands. 2016. UCLA Faculty Career Development Award. 2009–2010 & 2004–2005. American Council of Learned Societies, Fellow. 2005–2006. Center for Hellenic Studies, Junior Fellow. 2005–2006. National Endowment for the Humanities. Summer Stipend. 2005.